You should try to avoid using get/set property. Is get/set property so bad? i think you need to set 'Space' to "world"
No way. "world" showing me the rotation relatively to the world, so it's inherit all the rotations from the parent objects and show 0..360 angle relatively world x-axis. 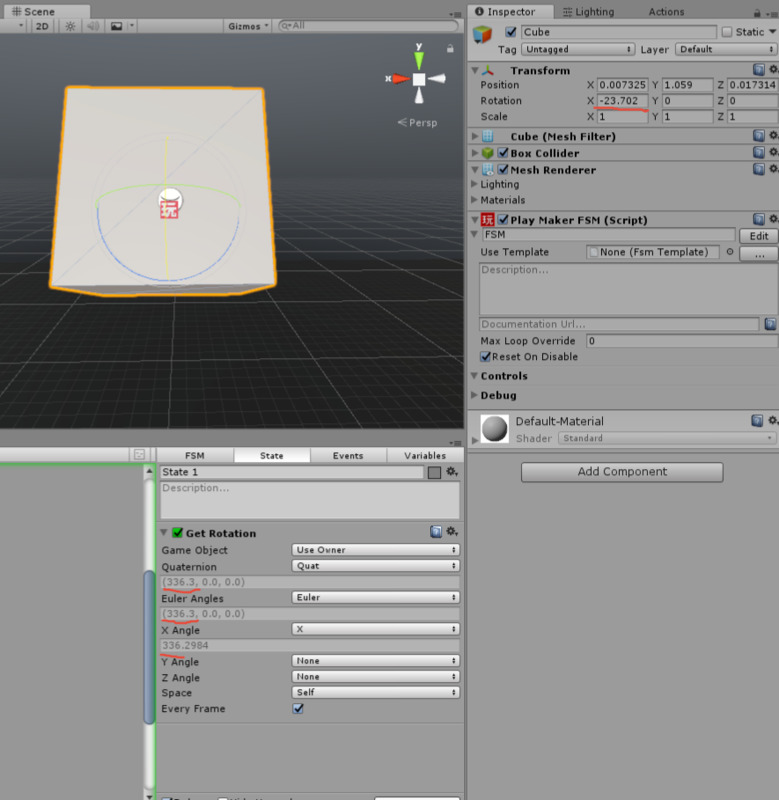 Self mode is correct, but it can't give me -10 value (like it shown in the inspector), instead giving me 350. And it's very frustrating, because I can't simply remap value (-10..10) in one action. It's jumping from the 0 to 360 and back. I actually had this same problem a bunch of months back (was working a small VR game). Let me take a look into it again now that my C# is a bit better. Great, thanks! Looking forward to see your results! I wonder, is it really not a common task, so there is no common solution out of the box? Isn't it weird? 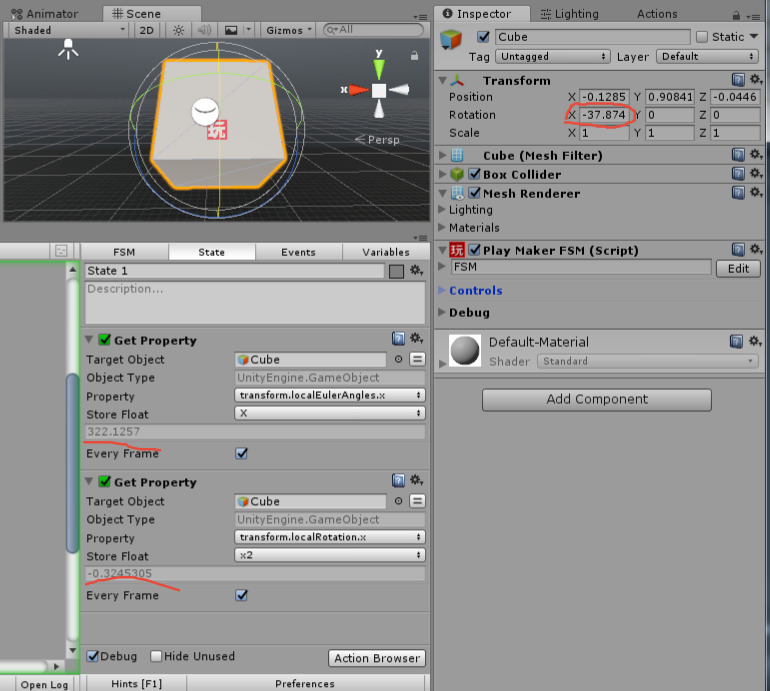 I see the negative values right in the inspector with my eyes, why can't I just get it directly like it shown? And obviously I can't make it in one FSM state and need to make a networks of checks and transitions? yes, the Transform component inspector is processing the euler angles, so getting the exacty same values means fiddling around. 350 is the right value, -10 is a processed value and it's not available form the transform rotation directly. I just put that action on the Ecosystem for convenience.